Invitation mailer created for potential customers at the April High Point Market. The mailer box cover features an older photo of a prudish 40’s dancing couple. 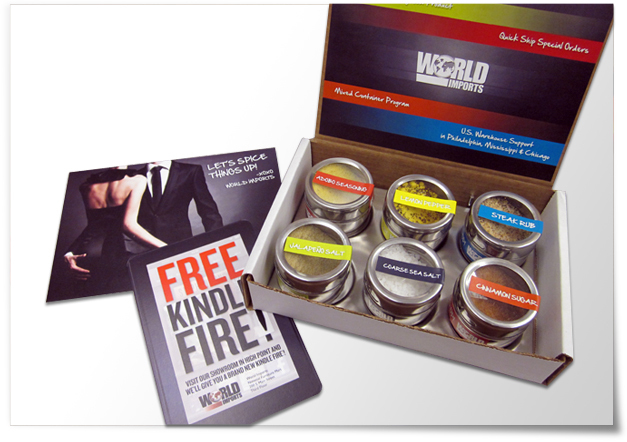 Open to reveal the present day dancers, and a magnetic spice rack with 6 individualized spices.